If there’s anything I like more than history, it’s animals. 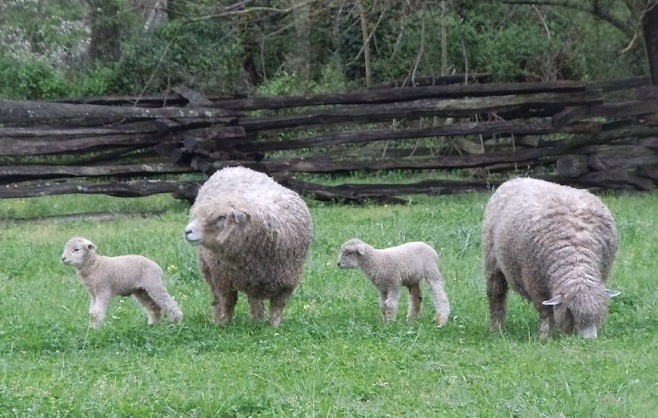 So when I heard that Colonial Williamsburg’s spring lambs had been born, I did what any self-respecting crazy lamb lady would do — I rushed down to see them. Williamsburg is less than a three hour drive from my home near Washington DC. In the 1920s, the rector of a Williamsburg church convinced John D. Rockefeller that he should be interested in the restoration of the historic buildings of Williamsburg, Virginia’s colonial capitol. Rockefeller, being a Rockefeller, began buying up the town to secure his restoration and despite the inevitable holdouts, he eventually acquired about 85% of what was Williamsburg in the 18th century. He demolished anything built after 1790, restored the 88 pre-1790 buildings left, and recreated the rest. Colonial Williamsburg, the recreation of an entire town as it was in the 1700s, opened as a tourist attraction in 1934. Today, it’s the largest living museum in the world, with approximately 500 buildings on its 300 acre campus. 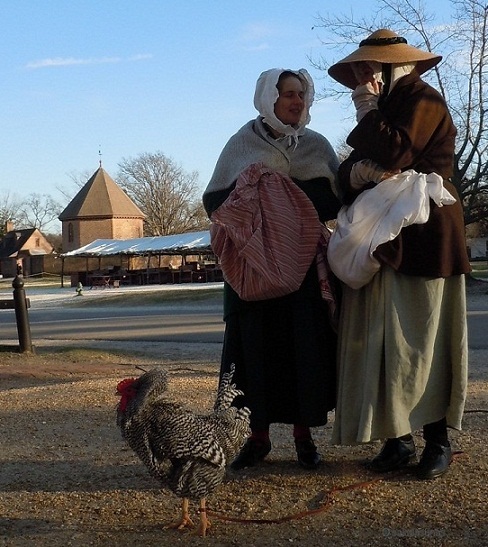 Costumed interpreters roam the streets, engaging visitors in revolutionary conversation. And along with the human interpreters are animal interpreters, members of heritage rare breeds who not only bring picturesque authenticity to the historic area, but contribute to their species’ survival. 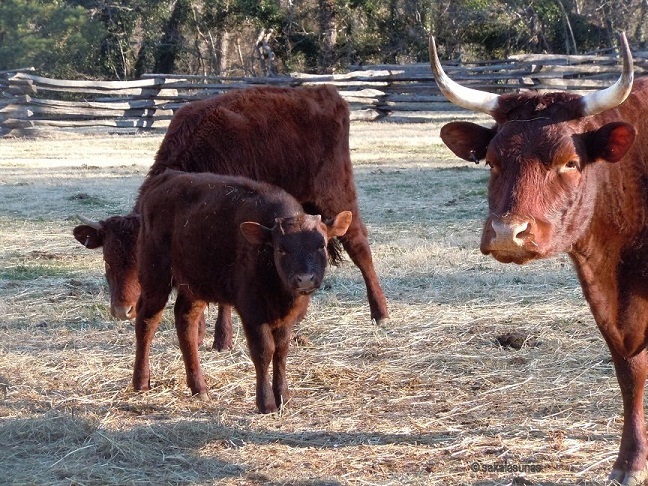 Colonial Williamburg’s rare breeds program began in 1986 with an American Milking Red Devon cow, and has since expanded to pigs, chickens, cattle, horses and, of course, lambs. The lambs we were stalking were Leicester Longwools, favorites of George Washington. Williamsburg suffered a devistating loss in 2008, when a visitor fed the longwools poisonous leaves off a Kentucky coffee tree and a fifth of their stock died. They’ve since cut down the tree. And supplemented their DON’T FEED THE ANIMALS signs. The Rare Breeds Program conducts a one hour program, for visitors, about the animals and the breeding program. You’ll find the time and location on the daily events calendar. Another event for animal people is the Bits and Bridle Walking Tour. It’s a one hour tour that takes visitors into the stables to learn about the animals and carriages. Finally an interpreter at the Cooper’s exhibit was able to pointed us to the lambs. They’re behind the Peyton Randolph House, she said. Gallery | This entry was posted in Virginia and tagged Colonial Williamsburg, heritage animals, Virginia historic site. Bookmark the permalink.